The margin of error is a number that represents the accuracy of a poll. One can determine this amount by using an algebraic formula, a chart or an online calculator. The surveyor only needs three numbers: population size, sample size and standard deviation, a whole number that represents the percentage of time respondents’ answers were evenly split. Once these numbers are determined, the formula is applied and the margin of error is determined. The larger the number, the more room there is for the poll to have error. By using margin of error, readers are able to get a clearer idea of what the numbers actually mean. Understand the results of the poll. 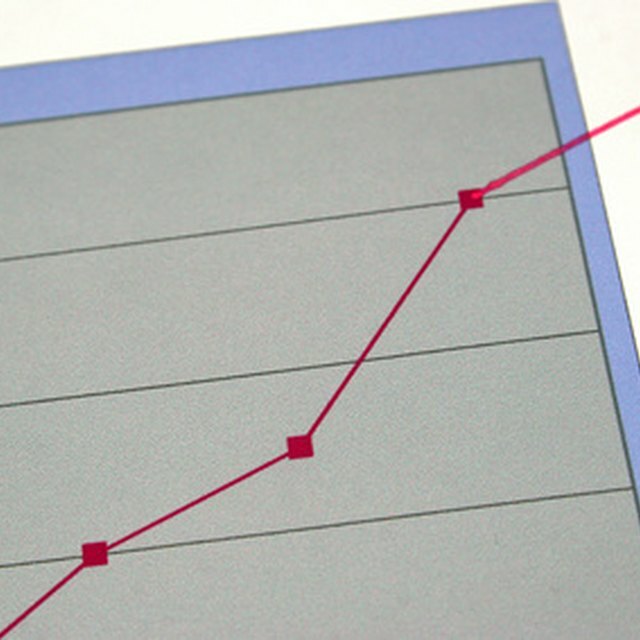 Examine all the factors, including population size, sample size and standard deviation. For the purposes of this article, consider a poll that claims 29 percent of children at Carson Elementary School prefer hamburgers to chicken nuggets. The elementary school consists of 500 students, 445 who were polled, and 95 percent of the time the answers were evenly split. In this example, population size is 500, sample size is 445, and the standard deviation is 95 percent. The margin of error is 3.95, and the number was reached using a formula. Identify the values that will be used in the formula. In a simple poll where the sampling is completely random, the margin of error formula is the square root of p(1-p)/n, multiplied by 1.96. 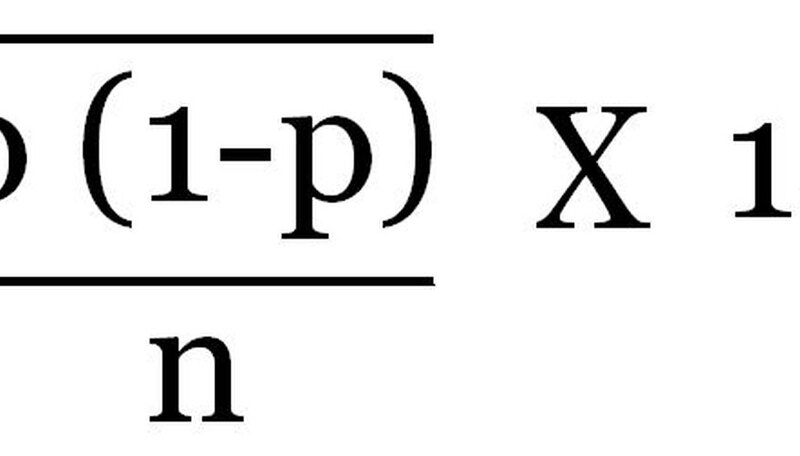 In this formula, "p" represents the percentage of the sample size compared to its population, "n" represents the total population of the respondents' pool, and 1.96 represents the standard deviation. Determine standard deviation. In general, 1.96, the standard deviation of 95 percent, is used. The percentage represents the frequency that answers were evenly split. A standard deviation is a whole number reached through a calculus equation that represents the degree to which a set of values is distanced from each other. This number can change depending on how many sets of data are contained in the poll. Perform the calculation. In our example of the Carson Elementary School student poll, p = 89, n= 500, and the standard deviation is 1.96 (95 percent). First take 89 and multiply by 1 minus 89 (or -88). The answer is -7832. Divide that number by 500 to get -15.664. In margin of error calculations, one takes the non-negative square root, so the final answer is 3.9577771539084914, rounded off to 3.95. Annotate this margin of error on any documentation of your poll by following this example: "In an August 25 poll of students at Carson Elementary School, 29 percent of students preferred hamburgers to chicken nuggets. The poll carries a 3.95 margin of error, with a 95 percent standard deviation. "Using the margin of error adds accountability to the poll and exposes any inadequacies. American Research Group has an online calculator to figure margin of error. Nielsen Media Research offers a table that helps pollsters reach a cursory figure for margin of error. West Group Research provides a detailed explanation of margin of error and how it relates to the marketplace.